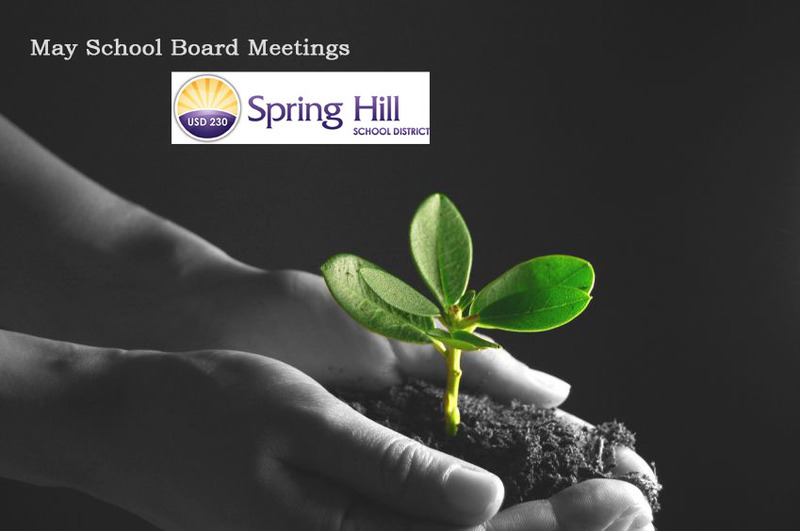 Spring Hill School District’s Board of Education met Monday, May 14, at 7 p.m. In addition to routine agenda items — such as reviewing student handbook changes and discussing which board members will attend graduation ceremonies — the board oversaw technology and construction projects funded by the sale of $39 million in school bonds approved by voters last summer. Last night, board members decided to spend almost $2 million of the bond funds on wireless and networking hardware, laptops, desktop computers and peripheral equipment, classroom technology hardware, iPads and Apple TV devices. Also last night, a representative of JE Dunn Construction company was scheduled to update the board regarding building projects. Besides paying for technology upgrades, district administrators promised voters bond funds would pay for building a new elementary school and expanding Prairie Creek Elementary in order to ease overcrowding. District enrollment has more than doubled over the last decade. Another item on last night’s agenda was discussion of boundary changes that may be necessary as the district continues growing. The Board of Education meeting, which was open to the public, took place at the Hilltop Education Center; 16740 W. 175th St.; Olathe, KS 66062.